By Anthony Cox and Bob Cormack - posted Wednesday, 16 January 2013 Sign Up for free e-mail updates! The empirical evidence for an increase in atmospheric CO2 over the 20thC is fairly uncontroversial. The increase in CO2 levels began about 1850 when the Little Ice Age ended. The acceleration in CO2 levels began about 1900 when they were 280 parts per million [ppm] and have continued until they are now 394 ppm. Until the 20thC records of atmospheric CO2 levels show a basically constant CO2 with variation as little as 10ppm over centuries. These past records are based on ice cores. The theory is that natural emissions of CO2 and sinks, or places where the CO2 is absorbed, were in equilibrium. This all changed when human emissions of CO2, ACO2, began. The official viewpoint about why CO2 levels have increased over the 20thC is put forward by the EPA. The EPA makes a comparison with a bath-tub. They say prior to the increase in ACO2, natural emissions of CO2 were like water from the "spigot" going into the bath-tub and natural sinks were like the drain. The level of CO2 never changed because nature, like the bath-tub, was in balance. ACO2 upset this balance by being like a glass of water which was poured into the bath-tub and is responsible for the increase in CO2. There are a number of problems with this official view. The first is the assumption that past CO2 levels were as unvarying as the ice cores suggest. The problems with the ice cores is they are subject to close-off fractionation, or leakage of gases from the gas trapped in the ice, because of ice pressure; this process is related to the kinetic diameter of the gas molecules not the collision diameter; something which confuses even experts who gave ice cores a clean bill of health as a proxy for past CO2 levels. The result of close-off fractionation is that ice cores may underestimate past levels and fluctuations of atmospheric CO2, as Drake, Jaworowsky, Glassmanand Segalstadhave proposed. Arguably the most reliable history of past CO2 levels is from plant stomata records as Figure 12 shows. Figure 12 indicates past levels of CO2 were almost at today's levels as recently as 1550. In addition chemical analyses of CO2 levels in Figure 13 show CO2 levels higher than today in the early 1800's. If the stomata and chemical analysis records are right this would mean that the natural emissions and sinks, the spigot and drain of the system are not always in equilibrium. In turn this would throw doubt on the assumption that there was equilibrium between natural emissions and sinks at the beginning of the 20thC before ACO2 allegedly caused the increase in CO2. Further doubt on this assumption of a natural equilibrium is contained in 2 recent papers. If the assumption about the equilibrium between natural emissions and CO2 and sinks was correct the increase in atmospheric CO2 would correlate with the ACO2 emissions since, according to the EPA, the increase in the CO2 is entirely due to that extra glass of ACO2 being added to the 'bath-tub' or atmosphere. However there is no such correlation; and since we know what the ACO2 emissions are the lack of correlation between ACO2 and the increase in CO2 must mean there is no equilibrium between the natural emissions and sinks. Quirk also shows the natural CO2 emissions and sinks are strongly correlated with changes in ENSO, the pattern of El Nino and La Nina episodes. There have been stronger warm ENSO periods since the LIA. 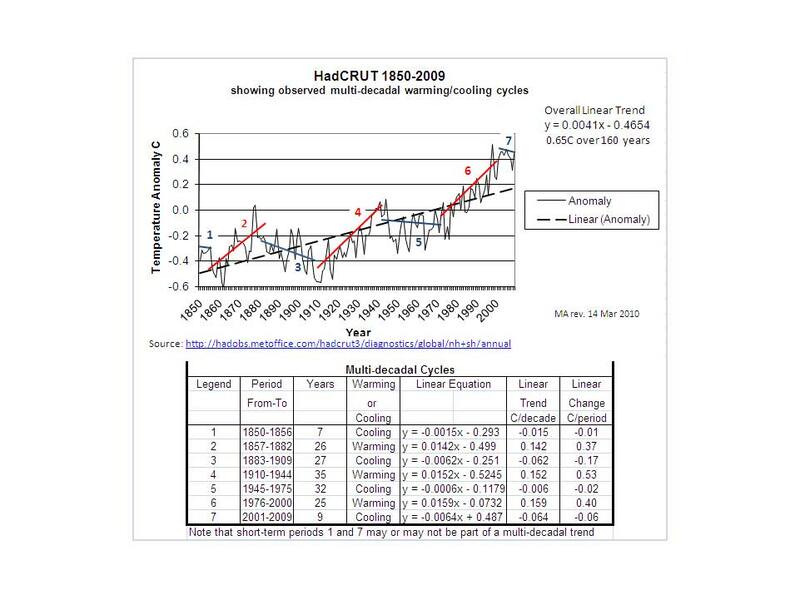 Warmer ENSO periods would lead to higher sea surface temperatures. According to Henrys Law with warmer sea surface temperatures more natural CO2 would be emitted from the oceans into the atmosphere. This is one possible reason why natural CO2 has been contributing to the increase in atmospheric CO2. Bob Cormack is a retired senior research associate and professor at the University of Colorado. He completed a BS in Math and Physics in 1969 and a MS in Electrical Engineering in 1987. Bob has 25 years of engineering experience in private industry and was 57th person to climb Mt Everest, a feat completed on August 10, 1976.